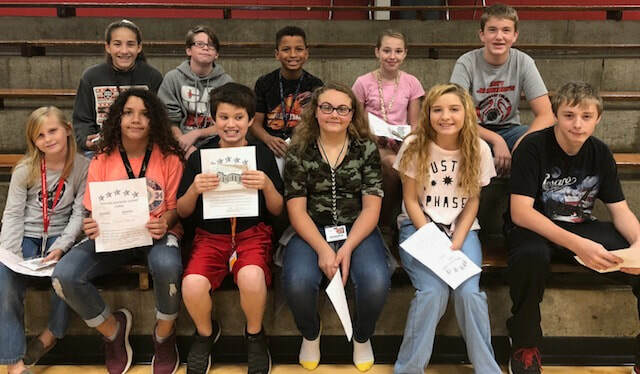 For the month of September, Southwest Middle School students were selected as character award winners by their teachers for their embodiment of the character trait: optimism. Pictured above, from left to right, are, in the front row: Harley Monroe, Nevaeh Robinson, Tobias Smith, Lilly Wolf, Anna Church and Jack Durgan. Back row: Juliauna Sierra, Keira Pearson, Mikelon Barker, Kali Jones and Allen Hendrix. Not pictured: Faith Outhouse.